Marco Island resident Pedro Vazquez turns 100 years old on November 26, 2016. 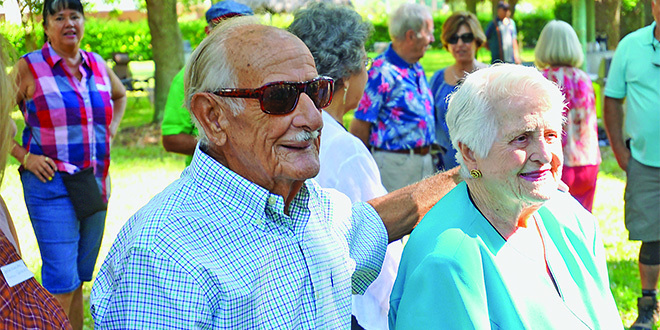 To celebrate this milestone, Pedro’s friend Kathleen Ferrier, son Pedro, Jr. and daughter-in-law Claribel, along with many other friends and family, threw a surprise party for him at Sarazen Park. Some of the groups in attendance were the Beach Friends, Cuban American Club, Italian American Club and the Dollar Store. 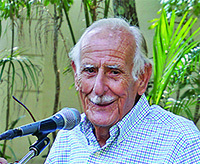 Pedro Vazquez came to the United States from Cuba in 1960, shortly after Fidel Castro took power of the country. He retired in the 1980s, and became a permanent resident of Marco Island in 1992. Pedro redefines 100, and he stays active and engaged with the community. He walks every morning, swims regularly and loves going to the beach.